My cold winter frown melted into a smile today! Spring is here. Nothing says spring like daffodils. 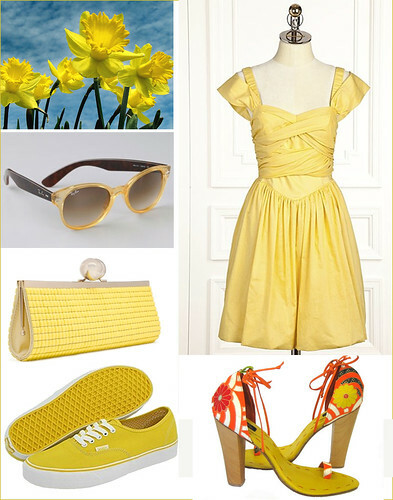 Hurray for springtime yellow! Just looking at this post has brightened my day 🙂 I love the dress, thanks for posting! Reminds me of Marylin Monroe.